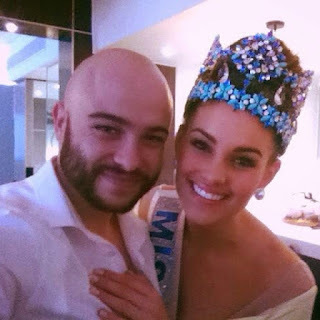 Sun International, owners of the Miss South Africa Competition, announced today that the reigning Miss South Africa, Demi-Leigh Nel-Peters, will be representing South Africa at the 66th Miss Universe Competition later this year. The competition is scheduled to take place on November 26th at a venue in the United States that is yet to be confirmed. "I am extremely excited and proud to represent our Rainbow Nation and cannot wait to wear the name ‘South Africa’ proudly across my chest. It has been 39 years since a South African wore the Miss Universe crown and I promise to dedicate and commit myself to ensure the crown will once again be on South African soil," Nel-Peters said in a statement released to the media. South Africa's top pageant coach and stylist and image consultant, Werner Wessels, and Miss SA's official stylist, Noreen Kajee-Vareta, will be preparing Nel-Peters for this year's competition. "I do a training programme similar to countries such as the Philippines, Venezuela and the US. I’ve been very fortunate to assist and coach Rolene Strauss in 2014, as well as Miss America for the Miss World pageant in 2015. I apply my model of training as they do in those countries and if you are serious about winning an international title, you don’t enter a pageant without a pageant coach," Wessels explained. As the Miss World Competition will also take place in November, it means that Demi-Leigh Nel-Peters will not be competing for this title. South Africa's representative at the 67th final of this event is expected to be announced in the coming few weeks. The Miss World Competition will start in Singapore in the middle of October and the winner will be crowned on November 18 in Sanya, China. Wow! Philippines is setting standards for beauty pageant. Congratulations to different camps in our country who made this possible. As of this time, Demi-Leigh is my Universe. I'm disappointed. I wanted to see her in MW. She will be an amazing Miss Universe! I'm pretty sure she will place, due to her kidnapping, and other drama stories. So the new MU management would have someone whose tragic life will inspire others. Just wait and see. Good choice South Africa!